As a kid, I always wanted to know more about the world and the environment we live in. Then as I got older, I became more curious about reaching a balance in my life, and enhancing my energy. I could not find the answers just around me, in Lebanon, so after graduating from the Lebanese American University with a Bachelors degree in Business Marketing, I made a life changing decision. I decided to see the world and seek answers. So I traveled more than 27 countries, became interested in meditation, and researched every book that related to my aspirations. I was inspired by many books I read, especially those of Lillian Too, the world’s most renowned Feng Shui expert. I was impressed by her teachings, her spirit, her energy, and her motivations. I was simply traveling around the world, buying books, discovering cultures, and studying how Feng Shui and energies can influence our lives. I then started implementing the rules of Feng Shui myself, and the results were immediate. It affected me greatly, and has positively influenced the lives of my family. This motivated me to take my studies to the next level, so I flew to Malaysia and attended Lillian Too’s “Institute of Feng Shui”, where I attained my certification as a “Feng Shui Consultant”, and fulfilled a lifelong dream by meeting and being taught by Lillian Too herself. She also presented me with an award for the Home Plan project. 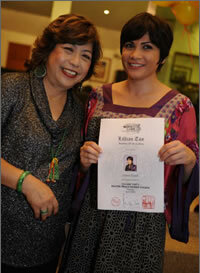 A few months later, I made a second trip to Malaysia, and attended Lillian Too's "Master Consultants Course in Advanced Feng Shui". 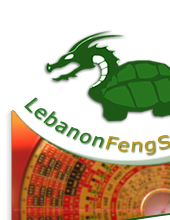 I graduated with credit, becoming the first Feng Shui consultant in Lebanon to achieve MCC higher level certification. My years of researching and studying Feng Shui and energies extended beyond influencing the lives of my own family. 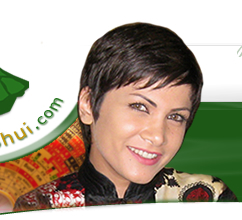 Through my Feng Shui business, I helped many people and changed many lives. I did many consultations for improving homes, and worked on advanced projects for buildings and land. My consultation services attracted clients in Lebanon, and abroad, like Syria, Jordan, Qatar, Kuwait, and Saudi Arabia. Also, when time permits, I deliver workshops and seminars. I am deeply committed to continuing my research and study in Feng Shui, as well as all the related disciplines. There is an interconnection between the systems that are based on Yin & Yang, the I Ching and the 5 Elements,… and I believe that traditional principles can be adapted to contemporary times, so that our environments and selves would be enhanced and empowered. My dream is to use my knowledge and experience in making a difference in people's lives. This is why my Feng Shui services and this website exist. It is about how well you know what you know."